Lovemore Park’s beautiful indigenous milkwood forest provides the perfect setting for a tranquil country retreat. The Plantation offers luxury guest suites consisting of large bedrooms, dining areas, and private patios surrounded by exquisite gardens. The area offers a wide variety of flora and fauna, with outstanding bird viewing. 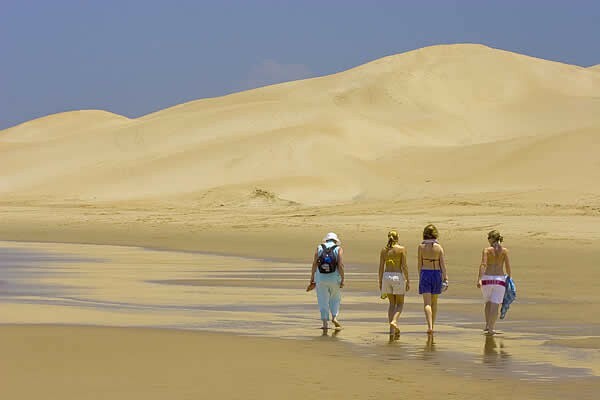 The Sardinia Bay nature reserve is within easy walking distance, and Sardinia Bay’s picturesque beach is in close proximity to The Plantation. 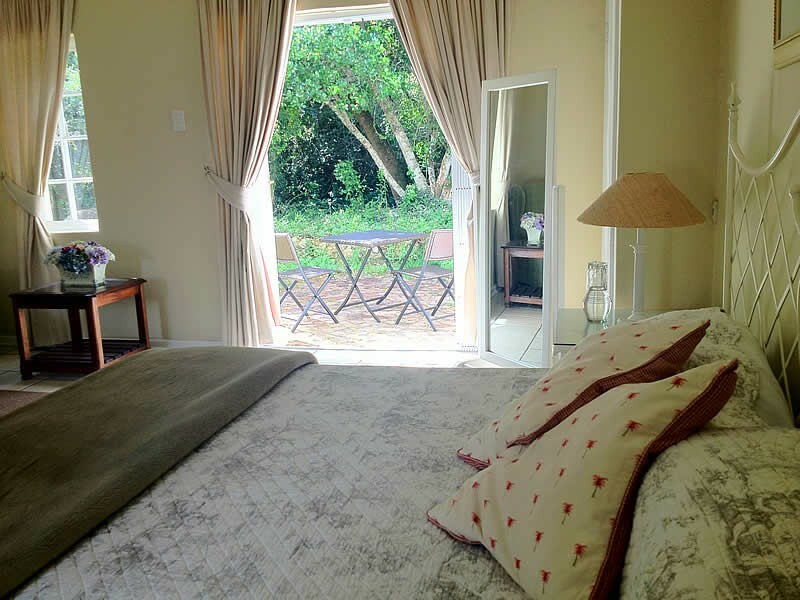 Full breakfasts are included, lunches and dinners can be arranged and fridges, crockery and cutlery are available. A tea and coffee facility is provided in each suite. 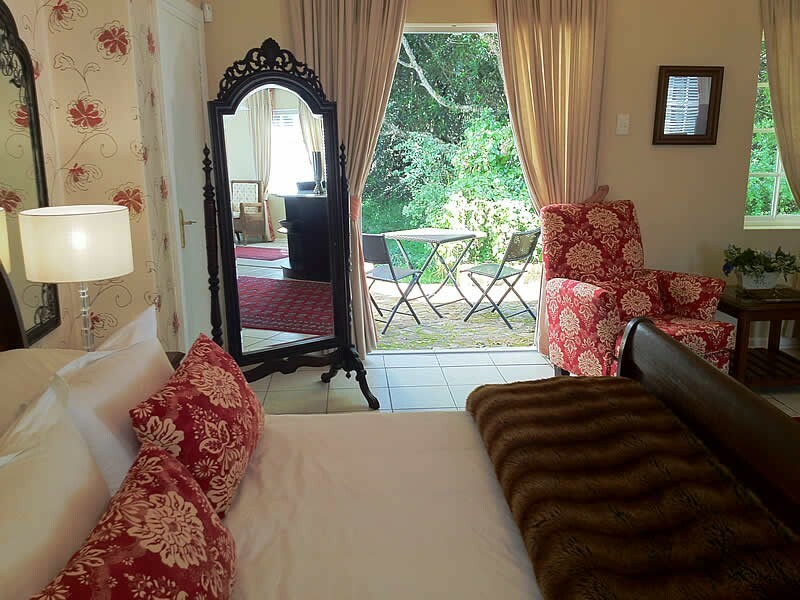 Interleading suites can be booked for families and babysitters can be arranged. 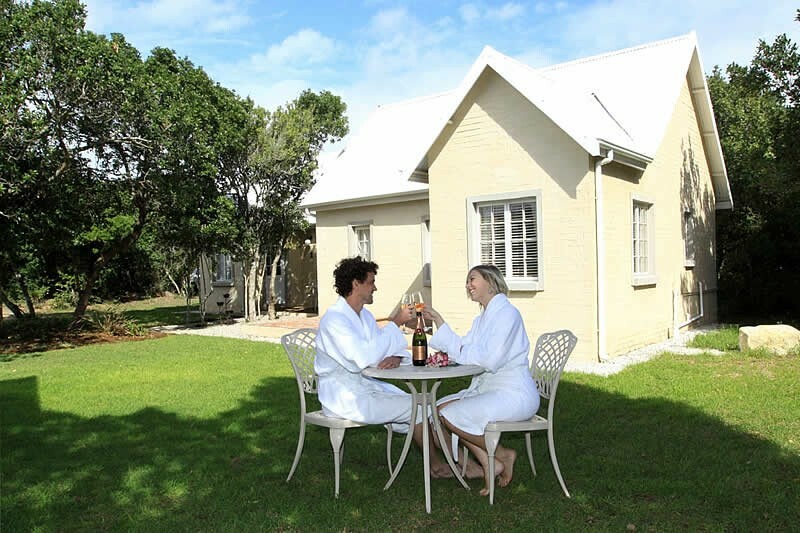 The Plantation Country Retreat is perfect for overnight accommodation for wedding and function guests, and for longer stays for out of town visitors. 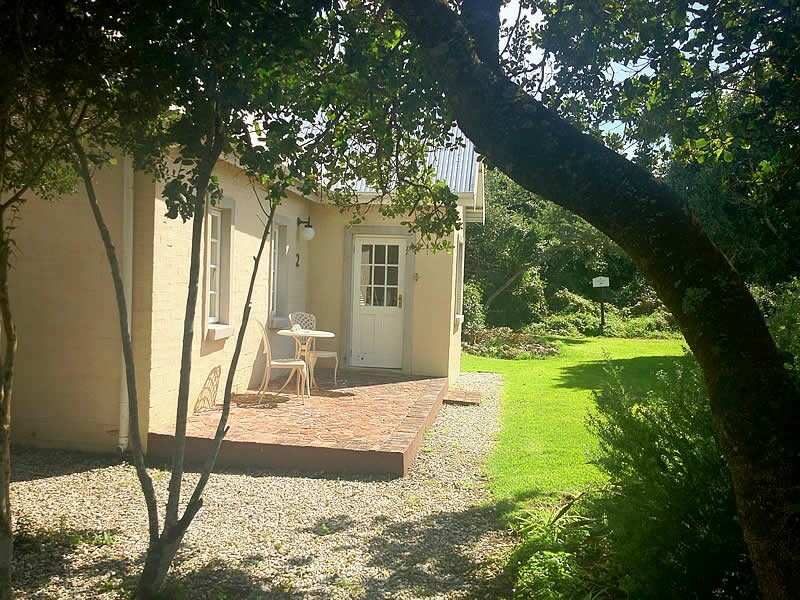 It is situated within 5 minutes from the Port Elizabeth (PE) International Airport and 10 minutes from Port Elizabeth’s city centre. Follow Sardinia Bay Rd for 2.3 km. The Plantation is on the left.